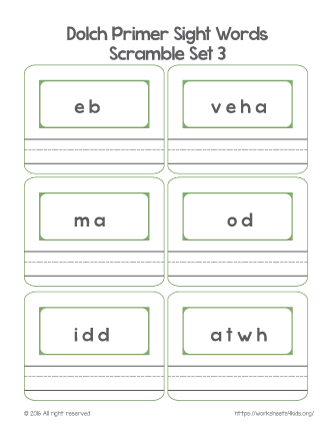 This worksheet contains six words: into, good, want, too, pretty, four. 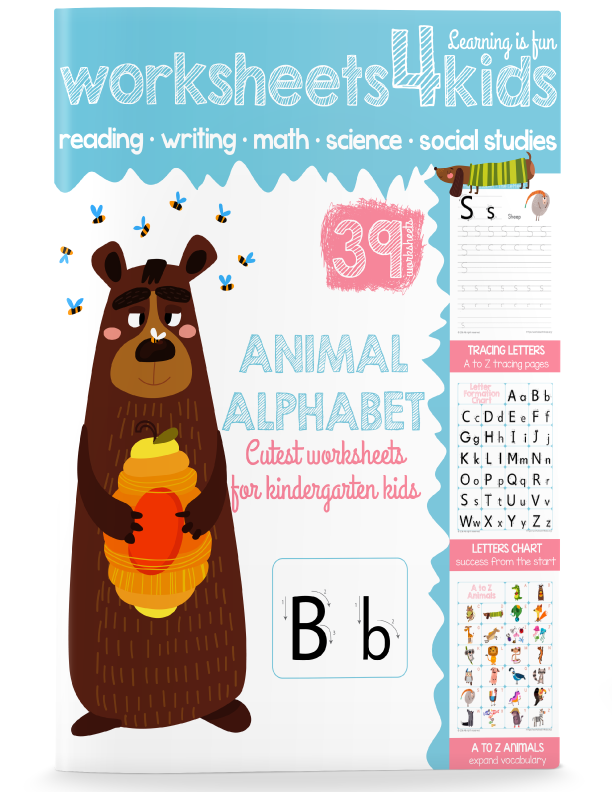 It is great for practicing reading and writing skills. Build the word, master reading skills and have fun! See how quickly your child can make the word and let write it down. 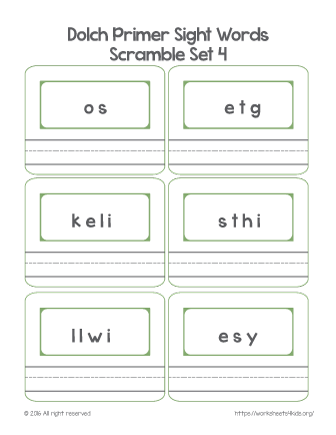 This sight word scrambles based on Dolch primer list and they are a fun activity for little learners. 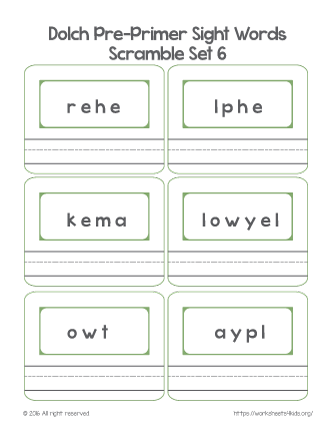 Solve the scramble, find the word and write it down! A fun activity to master reading and writing skills. 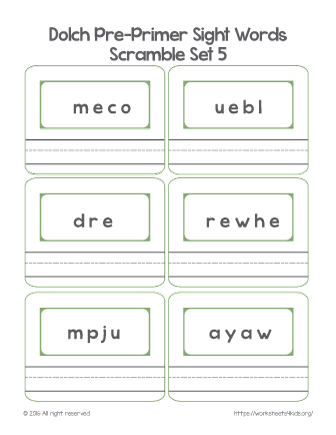 Scramble is a great activity for little kids, it is fun, active, and help develop reading skills. 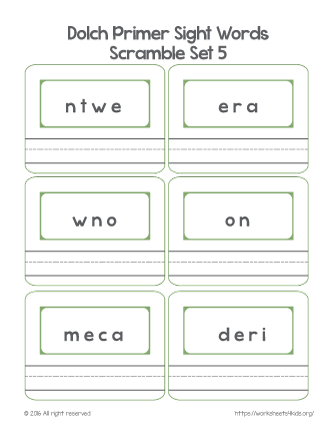 This worksheet includes six words. 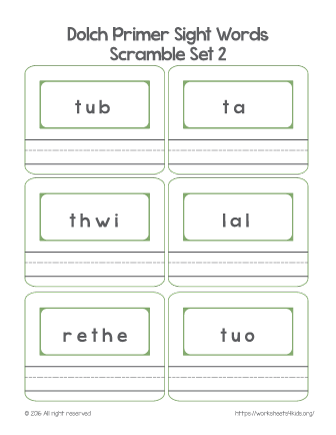 Scramble – is a fun game for little learners that helps improve reading skills. 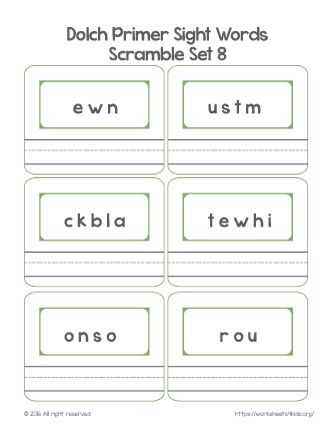 The worksheet contains six words to practice. 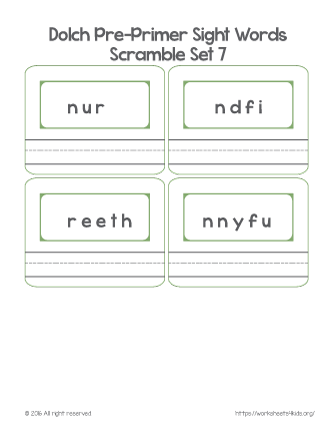 Have your students construct the word from the provided letters and write it down. This worksheet cover four words. 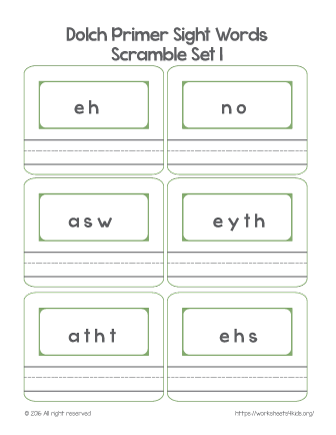 Practice reading and writing skills with a fun sight word scramble activity. Have your child explore each box and construct the word. 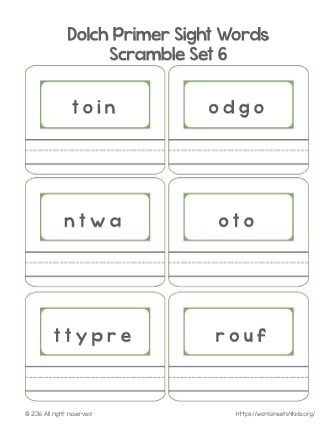 This worksheet has six words to practice from a Dolch list. 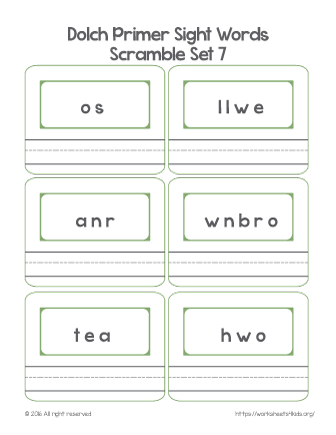 Have your child look at each box and recognize the word.